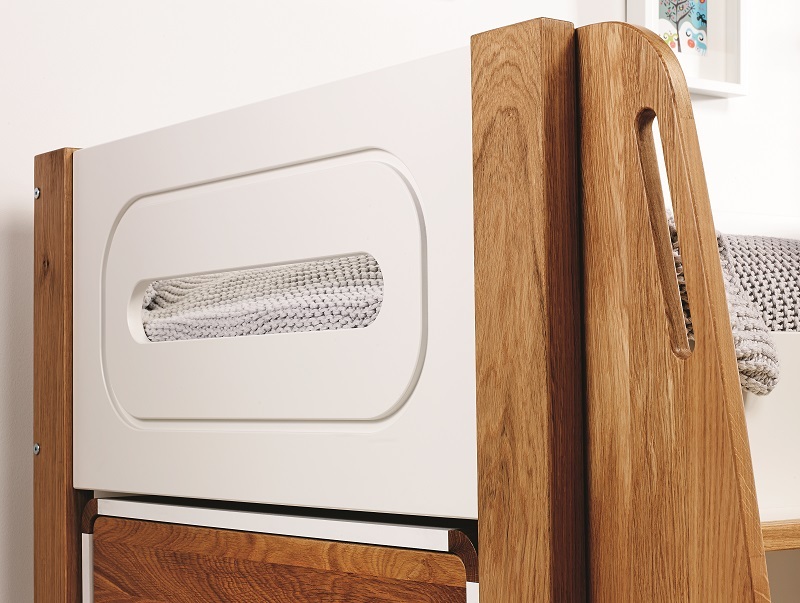 The Stompa Radius 14 midsleeper is a premium finish cabin bed in Silk white and solid European Oak, with stylish curved features and grab handles and a hide away storage drawer on the ladder it’s sure to add style to any room. It incorporates a Radius pull-out desk, three drawer chest and cube unit. 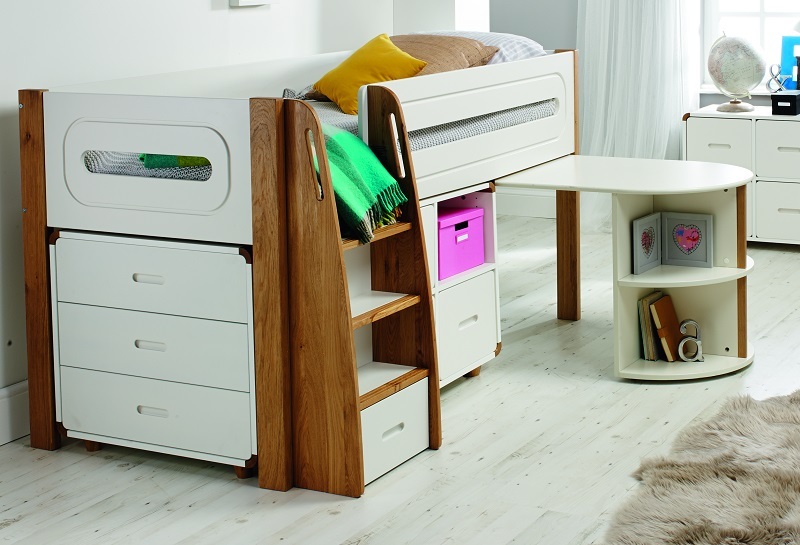 Stompa Radius midsleeper with pull-out desk, chest of drawers and cube unit, finished in silk white with solid oak elements. 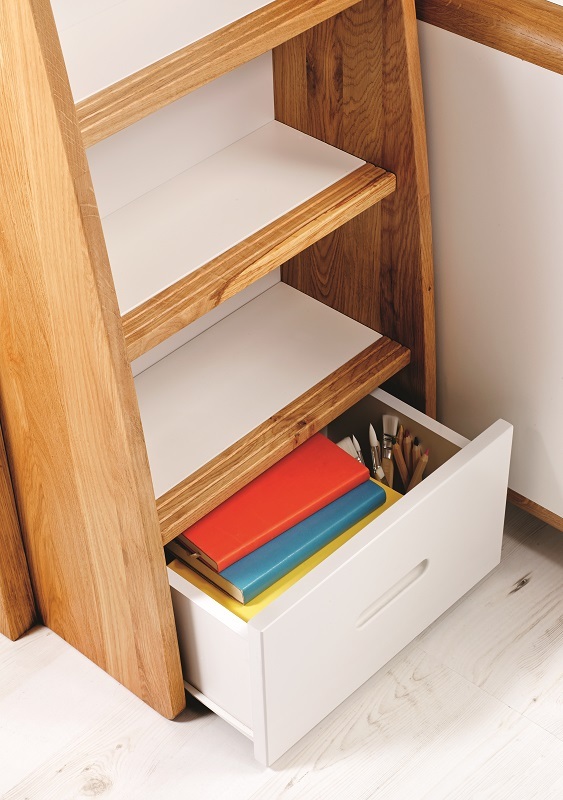 Desk stores neatly away under the desk (leaving just a curved section sticking out), and includes shelving on the end. Cube unit available with 0, 2 or 4 doors, with a choice of Oak or White doors. 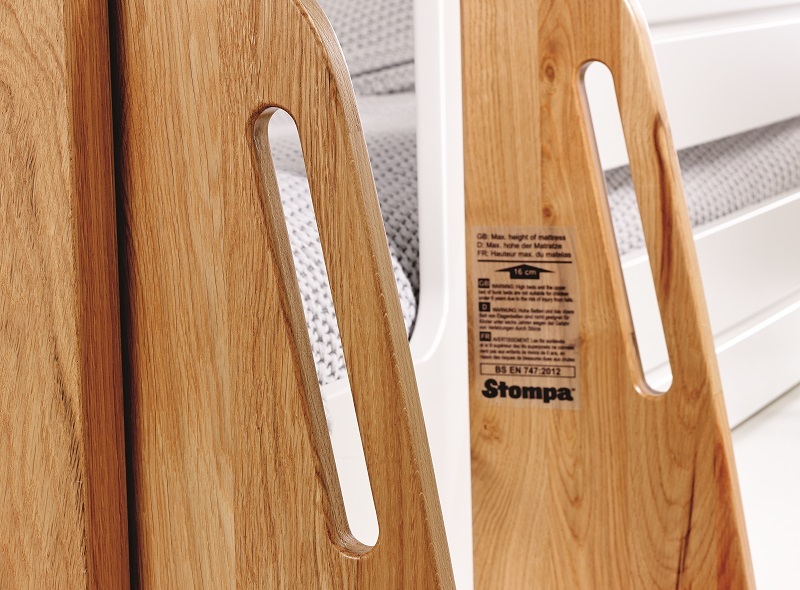 The Stompa Radius midsleeper is a premium finish cabin bed in Silk white and solid European Oak, with stylish curved features and grab handles. 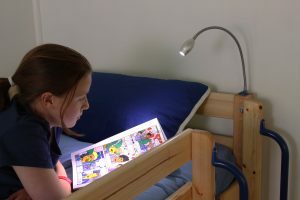 It includes a pull-out desk, three drawer chest and cube unit.